For three days in February, 1988, the Azerbaijani city of Sumgait became the arena of pogroms against the Armenians of the city. The Sumgait tragedy was a brutal, organized attempt to block a political solution to the peaceful demands of the Armenians of Mountainous Karabagh for self-determination. These events marked the beginning of a premeditated plan to depopulate Azerbaijan of Armenians, and eventually of Russians and Jews. 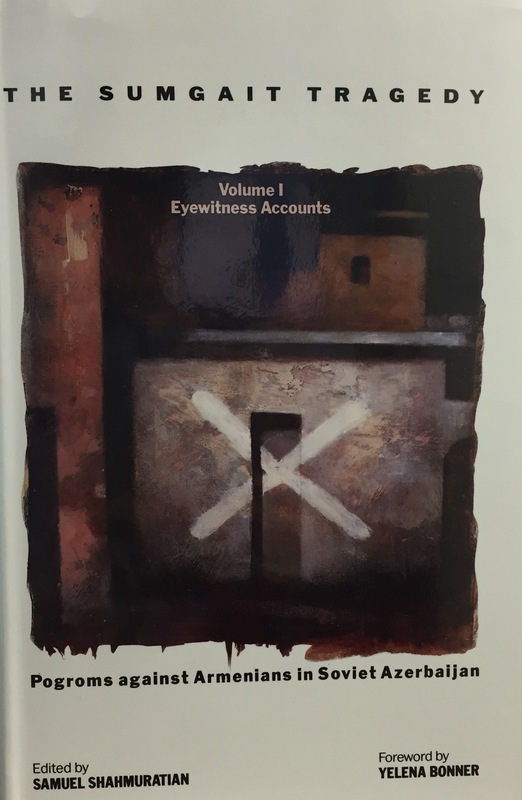 The Sumgait Tragedy: Pogroms Against Armenians in Soviet Azerbaijan (Volume I, Eyewitness Accounts) is a compilation of 36 interviews conducted by Armenian journalist Samvel Shahmuratian with 45 of the Sumgait survivors. These testimonies give painful answers to critical questions? What happened in Sumgait? Why was the impending slaughter not averted? Why did measures to halt the massacres come too late? Why did the events not receive complete analysis and coverage by the mass media, the government, and judicial bodies? The answers to these questions come from the victims themselves, in halting painful narratives. Maps included.